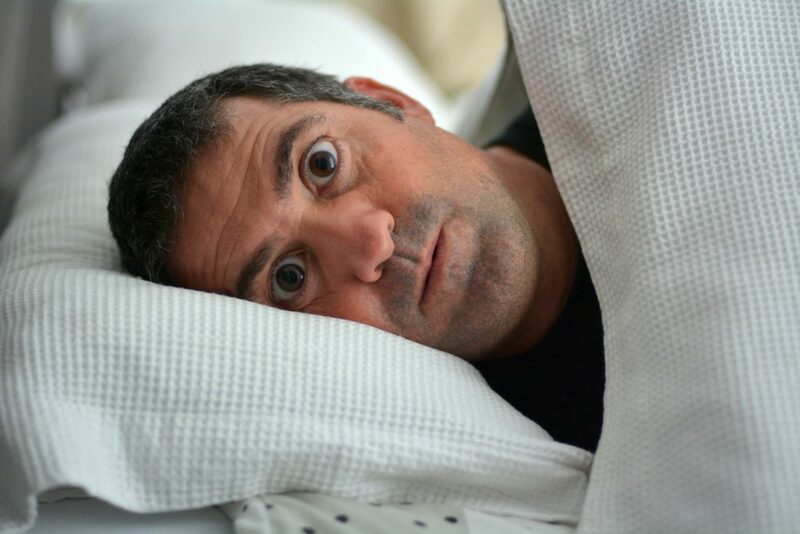 Customer Experience Risk: What's Keeping You Up at Night? You may be like many executives who’ve had more than a few sleepless nights worrying about your customers. Particularly the customers with problems (and on average that’s 3 out of 4 of your customers – source: The Verde Group white paper) — the ones who light up the phones and fill your inbox with concerns, complaints, and helpful suggestions. Surely if you don’t act and fix their issues, they’ll take their business elsewhere, right? It’s a common hypothesis that you should prioritize your initiatives around those known problems or the ‘squeaky wheel’ issues. The ‘known issues’ are causing friction in your customers’ experience and should be addressed, however, they may not deserve the resources or priority that you think. In fact, it’s often the best, most loyal customers who bother to take the time to contact you and complain. And by and large, they’re not a flight risk. There’s a good chance there is no direct correlation between the frequency of customer complaints, the likelihood of retaining that customer, and the revenue impact to your business. This group of customers are passionate about your product or service, and they want to make it work. How do you determine what the real customer issues are that may be financially impacting your business? With limited resources to address them, you can’t afford to get it wrong. In a prior role, I was charged with building business strategies for a start-up SaaS company to reduce customer defect and maintain the very costly customers we worked so hard to acquire. It was early days in the subscription business model, and while we had a hypothesis as to why customers would defect, we didn’t know with certainty what was driving the churn. We had spent a lot of time analyzing the customer complaints and surveys that came in through our support desk. We could tell you with confidence, the issues that our customers were experiencing. But as we started to dig into the customer data points associated with that segment of customers (those that contacted us) we were surprised to see that they were some of our most engaged users. They were contacting us multiple times a year and using the product more frequently and recently compared to those customers who never contacted us. The profile of these customers was contradictory of our institutional belief, so we had to learn more. Following a big subscription renewal period, we began to analyze the data points available on customers who defected. Did they purchase through a certain channel? Did they use specific feature sets? Examining the data of our lost customers provided us with working theories as to why they left. But the data alone was far from providing us with the necessary insight to be able to put plans in place to reduce future customer churn. We needed to understand the context of the internal data points we were seeing. We needed to understand the “why” behind these behaviors. What you’re looking for here is the opportunity to have a genuine dialogue with your ex-customer — an open-ended conversation where you let them talk and share their experiences. It’s important to listen without pre-conceived notions of what the customer will say. Go in with an open mind and the only goal being to listen and learn. Using the data you already analyzed, target specific segments of users when recruiting for the listening sessions. For example, one group may be users who showed great engagement with the product, yet still defected. This focus enables great efficiency in learning the root cause because you already have some insight into their behaviors. Each user has a unique experience, but through qualitative research such as IDI’s or focus groups, themes will emerge that will provide the insight that you’re looking for. Often, they will introduce an issue that you didn’t uncover when reviewing the data and provide critical insight in doing so. At this point, you have detailed customer feedback in one hand, and objective, measurable data in the other. The customers’ experience with your product or service is end-to-end and holistic. What you learn through this process will not fit nicely into just one area of the business or function. In order to put plans in place to address the top drivers of churn, you will need cross-functional support and leadership buy-in. This is a critical and often overlooked step in the process. Don’t forget that the insights you uncover may be completely new to this audience. It may take some time to help colleagues understand these “silent killers” and why they haven’t heard about them before. Now that you have organizational alignment, you’re ready to prioritize the issues you’ve uncovered and start building a plan to address those specific issues. Start with what you consider to be the easiest fixes that have the most substantial revenue impact. Don’t overcomplicate the solution but rather stay laser focused and have clear metrics in place to measure the impact. It’s easy to start to have scope creep and before you know it you’re attempting to build a plan that is unattainable. Clarity of ownership is critical in getting plans off the ground. Make sure everyone involved knows their role and expectation in solving the issue at hand. After achieving some early momentum, move on to evaluate the business case the more complex, resource-intensive solutions. Once you’ve moved from a reactive mode to proactively addressing customer issues, don’t make the mistake of stopping, or even slowing down. You’ll need to repeat the data review/customer conversation cycle on an ongoing basis to stay in tune with your customer’s experience and keep raising the bar on your performance. In the end, it’s not the customers who complain the loudest or most frequently that should keep you up at night. It’s worrying whether you really understand your customer’s experience and whether you’re truly addressing the issues that are financially impacting your business. Of course, if you leverage your data, have genuine conversations with your customers (and ex-customers), build organizational support and create a measurable action plan, you might just sleep like a baby. Sarah Pierce is Senior Vice President at The Verde Group.